Matériel culture encompasses the material remains of conflict, from buildings and monuments to artefacts and militia, as well as human remains. 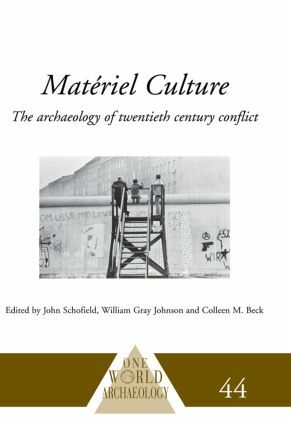 This collection of essays, from an international range of contributors, illustrates the diversity in this material record, highlights the difficulties and challenges in preserving, presenting and interpreting it, and above all demonstrates the significant role matériel culture can play in contemporary society. *World War II concentration camps. Displaying history’s violent heritage: how does the archivist approach exhibiting documents which relate to violent events?